Showing results for "The Leader's Wife, Living with eternal intentionality"
As a woman leading a life of influence, you may find yourself without sufficient clarity or equipping for the challenges you face. For many, the role of wife of a leader is one thrust upon rather than chosen. For others, it is a responsibility embraced but no less complicated to navigate. In either case, as one sharing a journey with a world-changer, this audiobook is for you. 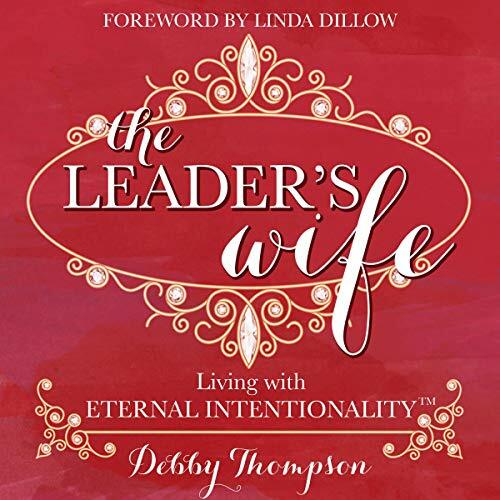 Within The Leader's Wife, Debby Thompson addresses some of the most difficult questions facing wives of leaders. With vulnerability and candor, Debby speaks from her own mistakes and discoveries.